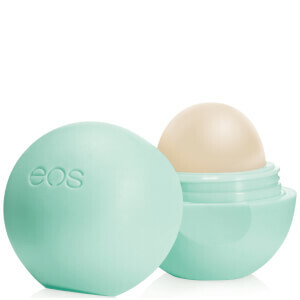 Saturate your lips in lasting hydration with the EOS Visibly Soft Coconut Milk Smooth Sphere Lip Balm, a deeply nourishing lip balm enriched with a comforting scent. 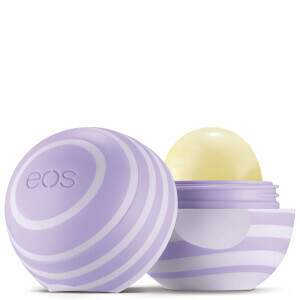 Packed with a blend of conditioning ingredients, including Cocoa and Shea Butters, the hydrating lip balm glides effortlessly over lips, helping to restore moisture and softness to leave your pout looking enhanced and replenished. 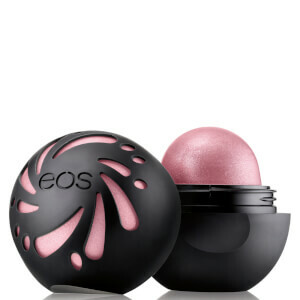 Also contains a cocktail of four moisturising oils to ensure lips are left soft, supple and smooth. Die gewünschte Menge bei Bedarf direkt auf die Lippen auftragen. Butyrospermum Parkii (Shea) Butter, Theobroma Cacao (Cocoa) Seed Butter, Beeswax/Cera Alba (Cire d’abeille), Jojoba Esters, Flavor (Aroma), Olea Europaea (Olive) Fruit Oil, Oryza Sativa (Rice) Bran Wax, Synthetic Beeswax, Cocos Nucifera (Coconut) Fruit Extract, Tocopherol, Helianthus Annuus (Sunflower) Seed Oil, Glycine Soja (Soybean) Oil, Stevia Rebaudiana Leaf/Stem Extract.